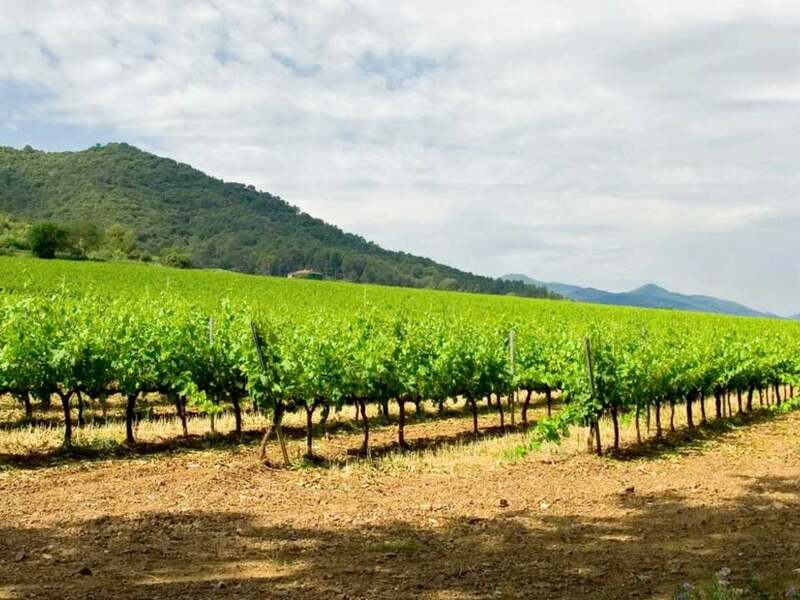 The attractive town of Sant Just Desvern is located within the Baix Llobregat area, to the west of Barcelona City. 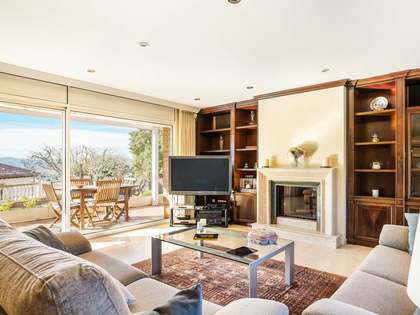 It is an affluent area with a robust property market featuring an eclectic mix of Modernista period houses, traditional rural architecture and cutting edge contemporary villas and apartments. Both Sant Just Desvern and Esplugues offer tranquil and green surroundings, with the magnificent Collserola mountains as a backdrop; ideal for hiking and outdoor pursuits. The town offers a wide range of services including numerous shops, restaurants, cinemas, fitness centres and medium sized businesses that have helped contribute to the wealth of the area. It is also home to some multinational companies that draw international buyers to the area. 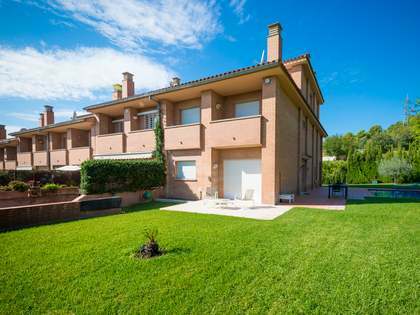 Due to the proximity to the German and American international schools, properties for sale in Sant Just Desvern have proven popular with German and American clients as well as with some high profile FC Barcelona players, celebrities and politicians. 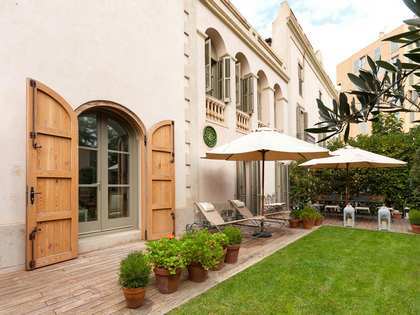 The town of Sant Just is just five minutes from Avinguda Diagonal and Pedralbes, and 15 minutes from the centre of Barcelona and the airport. This makes real estate in Sant Just particularly popular with international families that are relocating to the area and require a balance of convenience and comfort. There is a considerable international community here with multilingual services available and an active social scene. 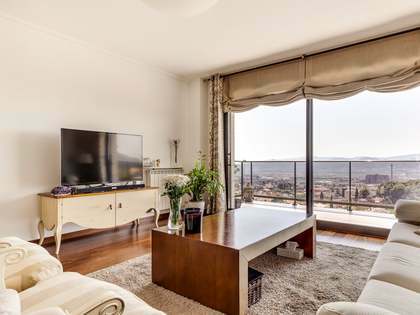 Sant Just offers the option to live in an exclusive villa, a great townhouse or a smaller apartment or penthouse in peaceful surroundings without compromising on easy access to the city of Barcelona and the coast. The excellent public transportation network and road infrastructure connects the area to Barcelona in just minutes, making the daily commute to work very easy. Whether buying a permanent residence or investing in a property to rent, the convenient location and standard of living on offer here means that properties are always in high demand both for rent and sale. Lucas fox offers a plethora of exclusive homes and apartments for sale and rent in Sant Just Desvern with a range of sizes and prices to suit each client's lifestyle. The area is known particularly for offering spacious detached villas with several bedrooms, open plan living spaces and private gardens with pools. In the town itself we find townhouses with period features and luxury apartments and penthouses with communal facilities as well as original properties for those looking for a renovation project. Find your new home in our range of Sant Just Desvern properties on our website or contact us for advice and assistance in selecting your ideal home in this affluent area just 15 minutes from the city centre and with an excellent quality of life guaranteed for you and your family.